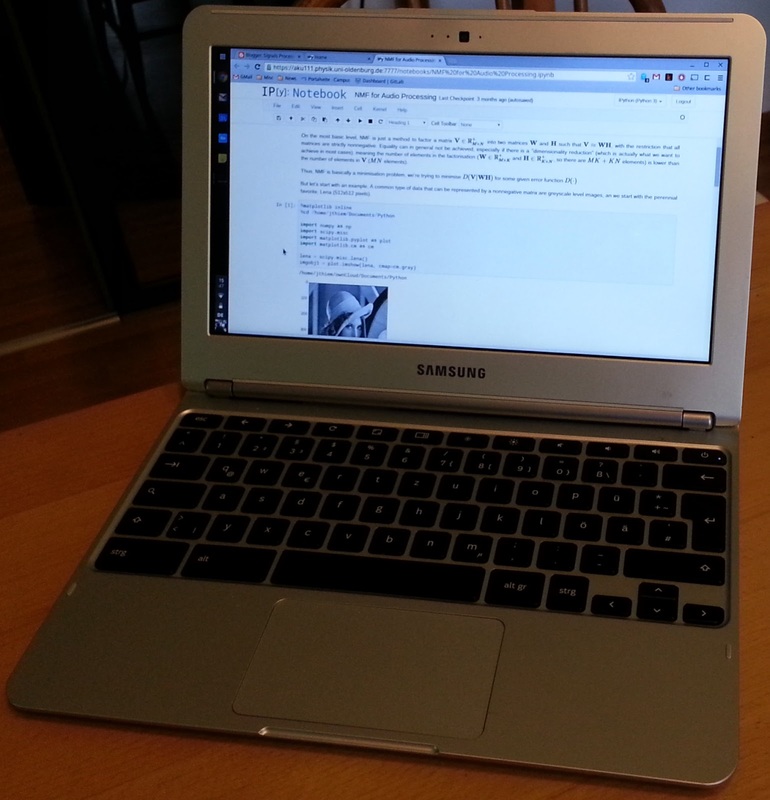 A couple of months ago, I decided to get myself a Chromebook. The Samsung ARM Chromebook is cheap (to the point of being almost disposable) and it's got an ARM CPU - and for performance at the least possible amount of juice it's hard to beat. I really like the fact that this thing emits no noise that I can detect even in a very quiet room. But how useful is it, for someone in a standard engineering/academic setting? The answer is that it works well, for me at least - with some special considerations. Especially for the last few weeks, it has been my primary laptop, having been dragged to research cluster meetings and one conference. I will explain the details of a few typical things I do, such as (LaTeX) document editing, intensive numerical computation, etc. Read below the break for details.